South Africa has thousands of small businesses – so many that they contribute over half of our country’s gross domestic product and employ two-thirds of all South African workers. This means that, the more support they receive, the more people they can employ, and the more successful our country becomes. We know that two-thirds of all South African workers are employed by small businesses and that small businesses contribute over half of our country’s gross domestic product. That’s why the National Small Business Chamber (NSBC) is for the sixth consecutive year bringing the nation Small Business Friday this Friday, 01 September. In fact, every first Friday of Spring is Small Business Friday. “If we can all support our local small businesses, these small businesses will grow, build infrastructure and employ more from their local communities, hence meaningful nation building”, says Anderson. with their WALLETS, by spending at a small business in their area and community. The future of our economy and the solution to unemployment lie in helping more small businesses grow and thrive! With support from Big Business, Small Business and the nation, our country can reach its full potential. 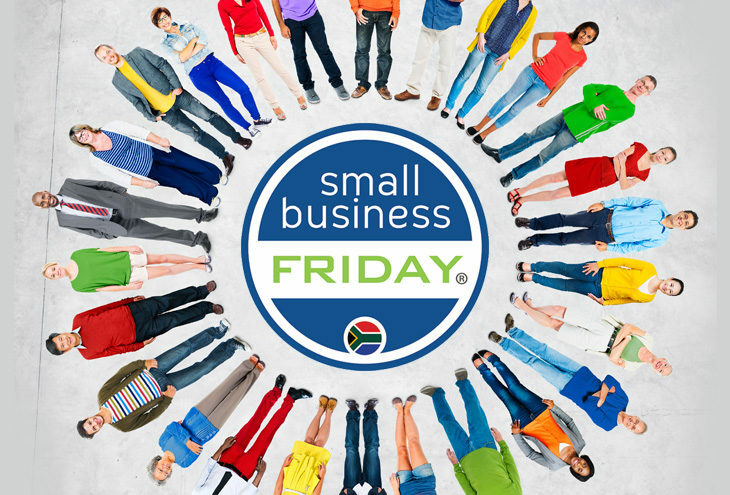 Let’s start now, go out and support your local small businesses this Friday, 01 September and beyond.